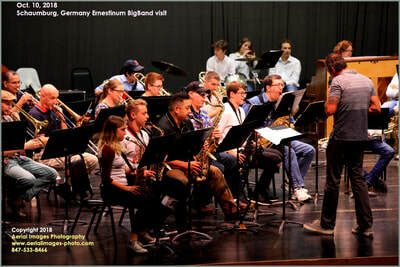 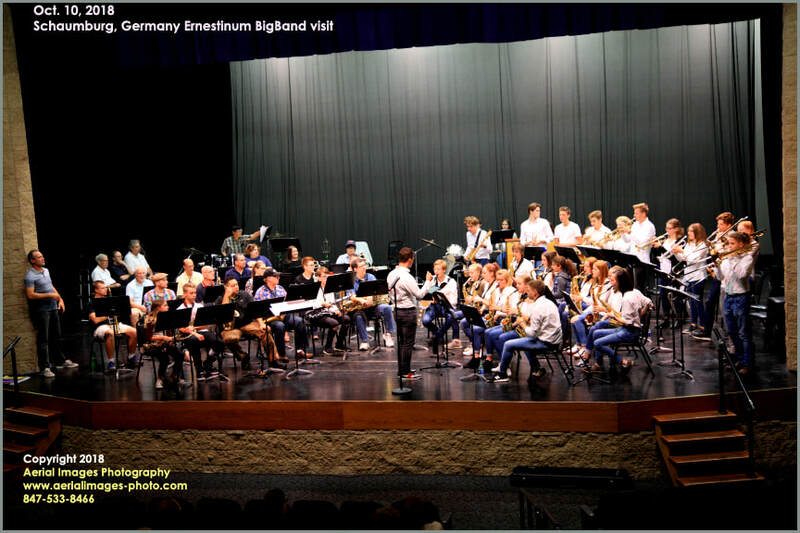 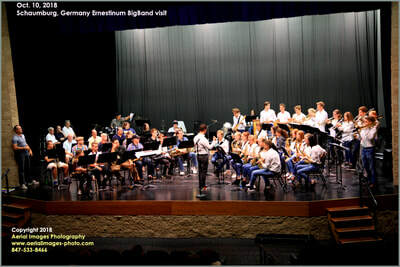 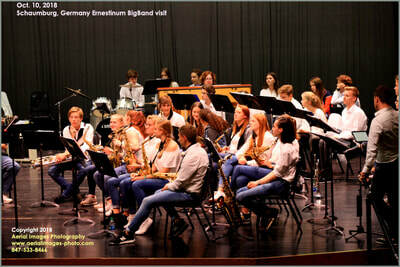 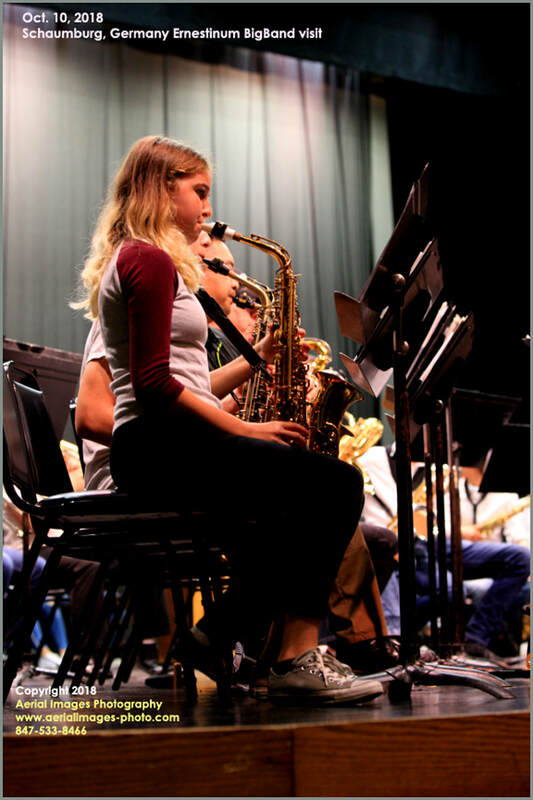 The Spring Valley Concert Band welcomed the Ernestrinum BigBand from their sister-city of Schaumburg, Germany. 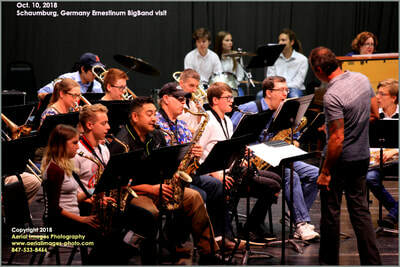 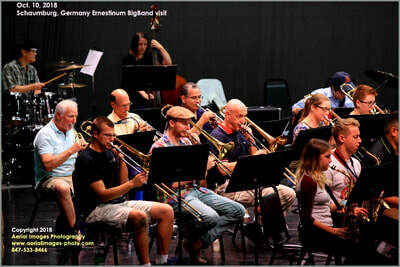 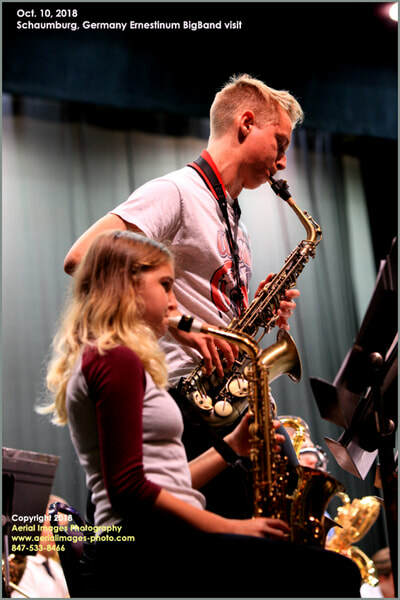 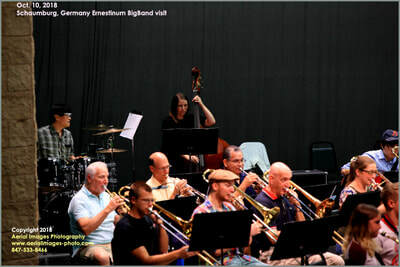 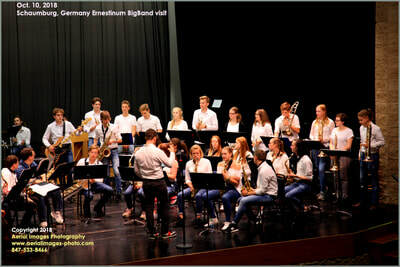 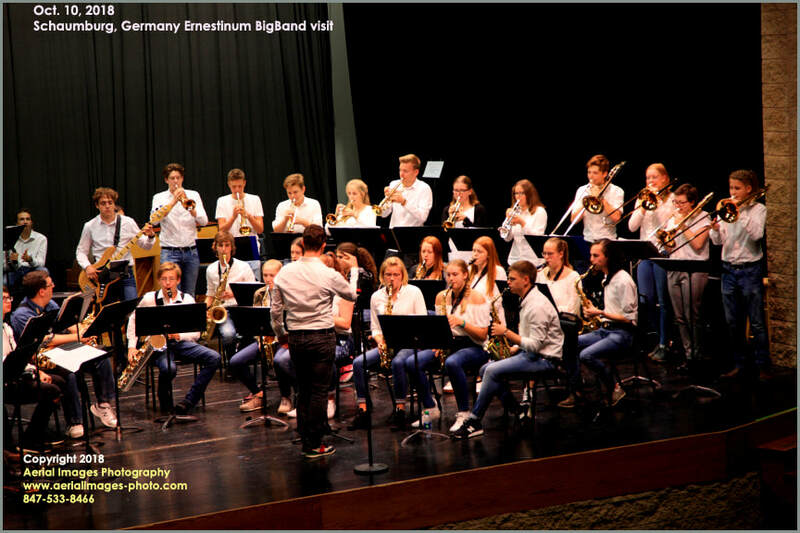 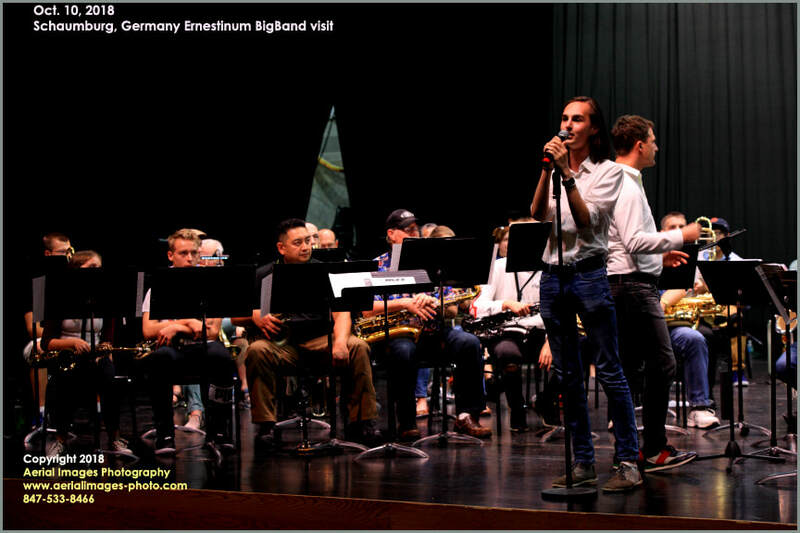 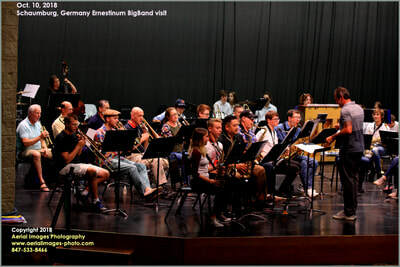 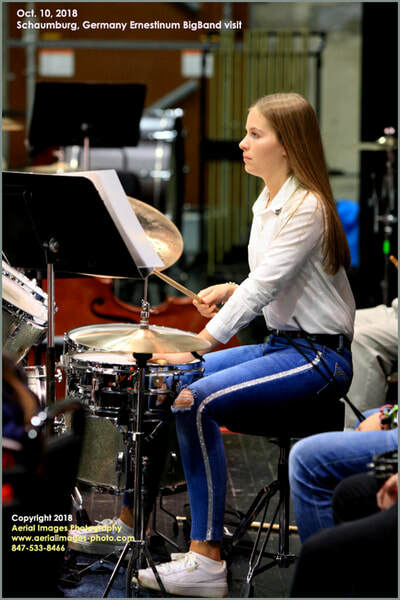 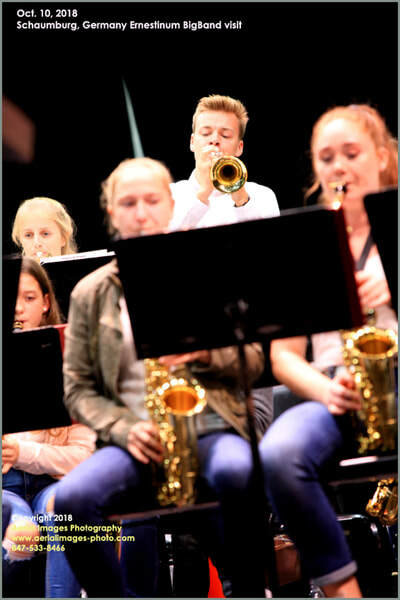 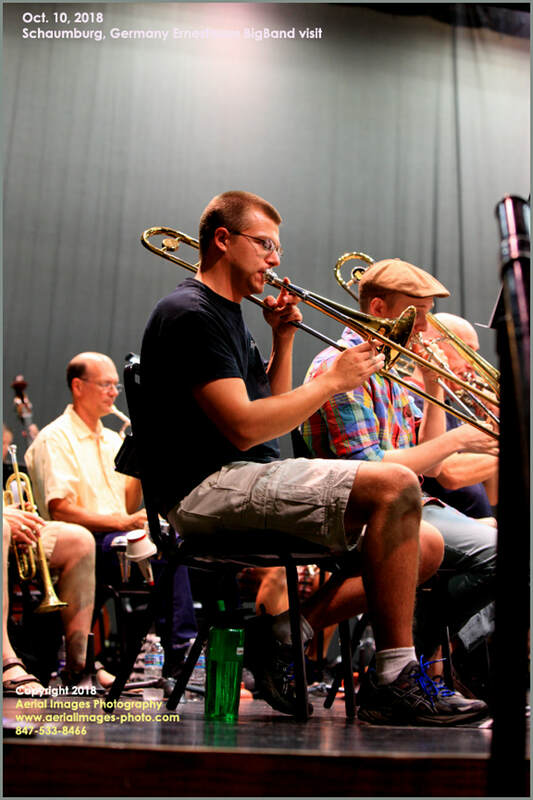 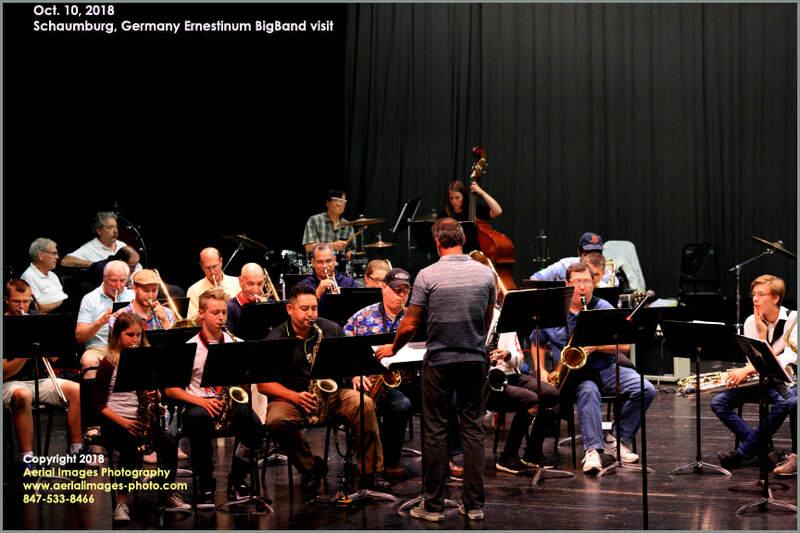 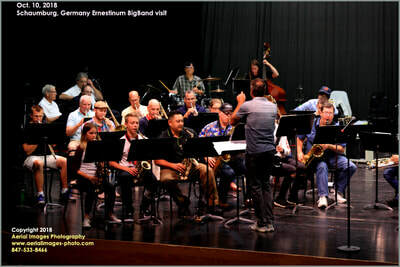 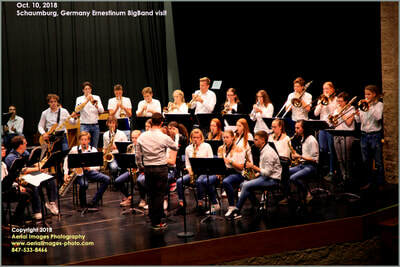 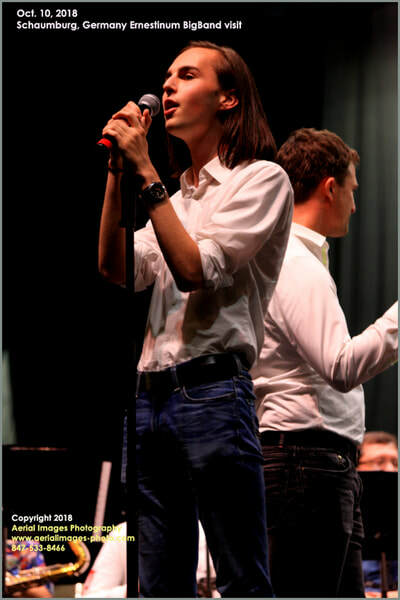 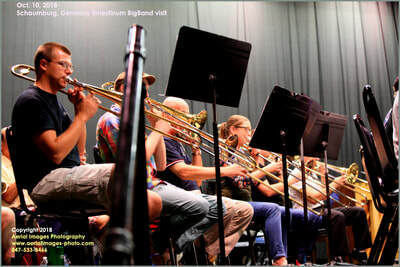 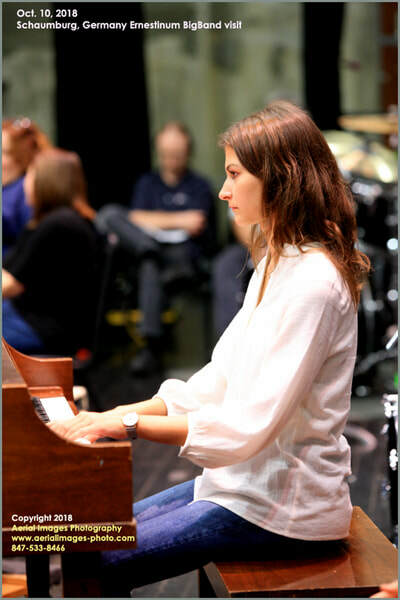 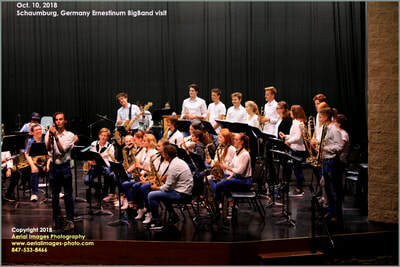 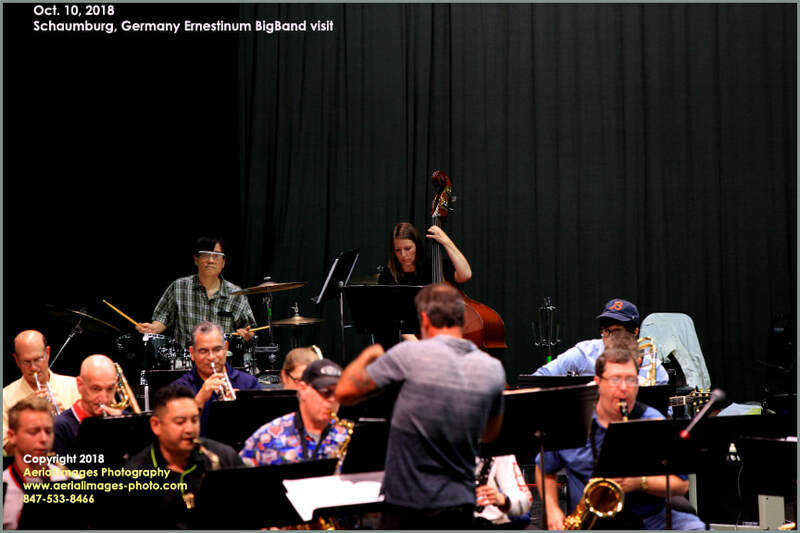 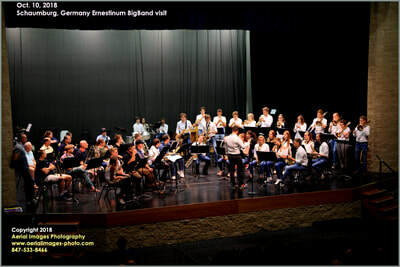 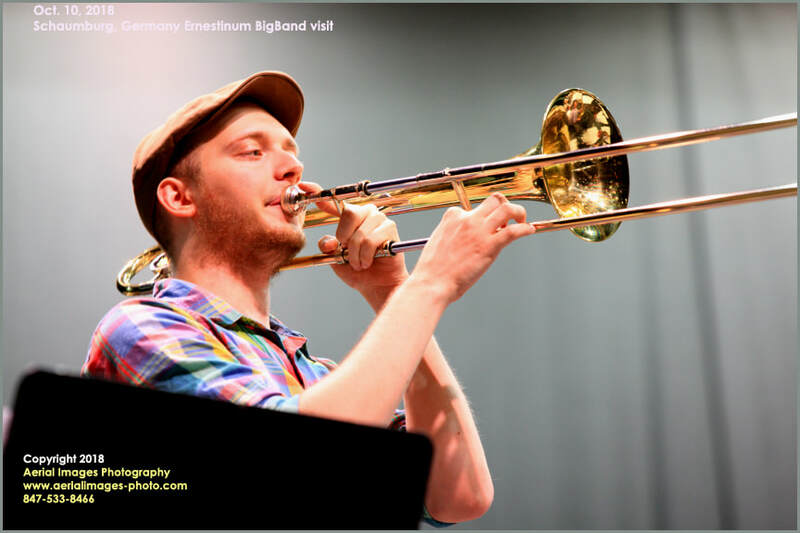 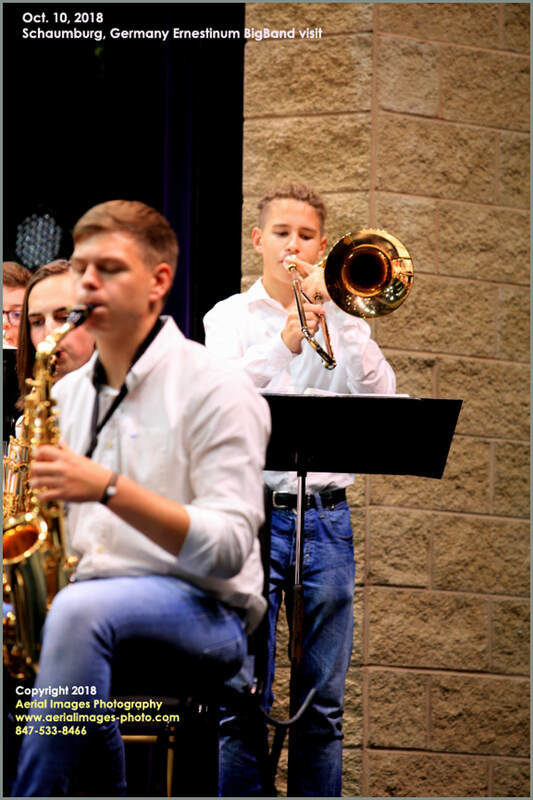 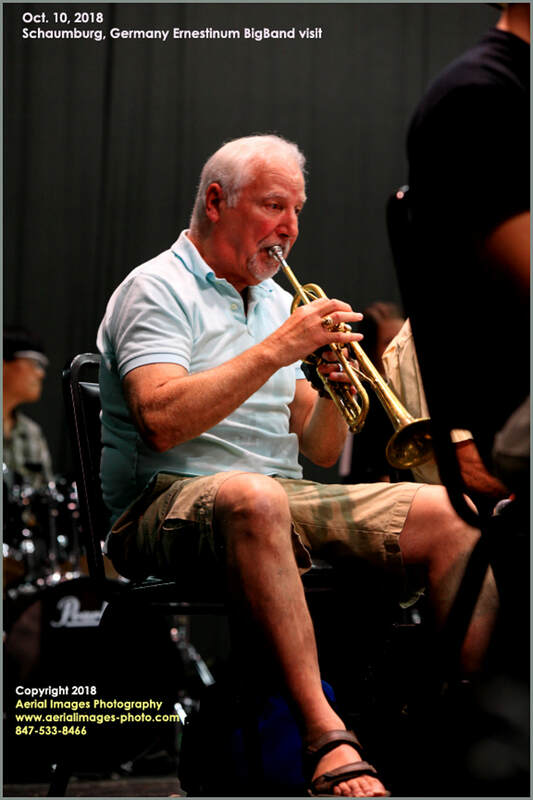 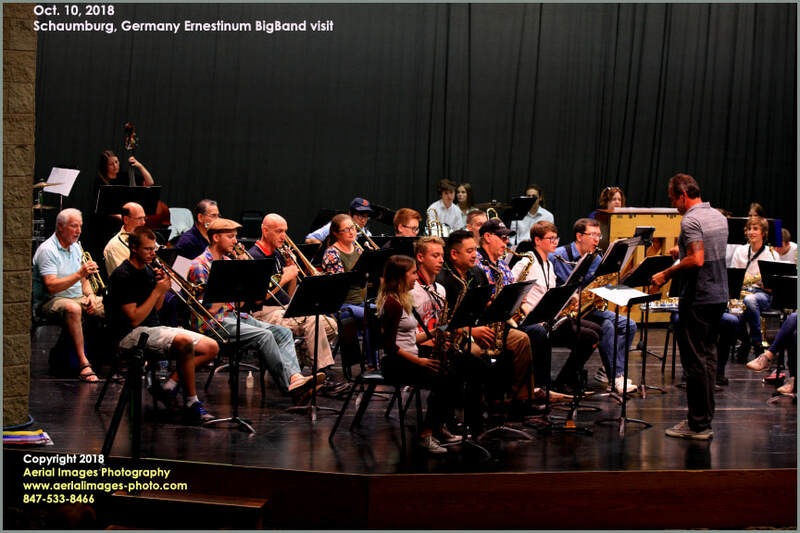 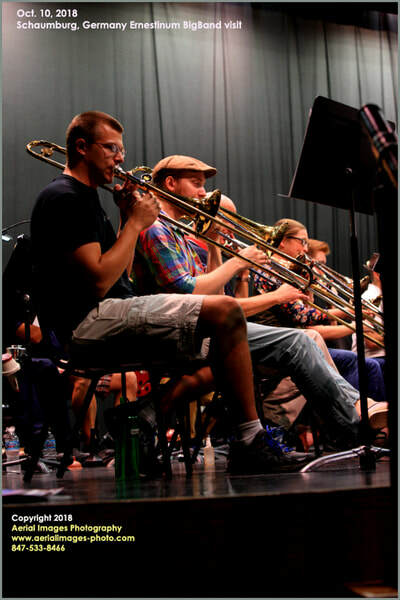 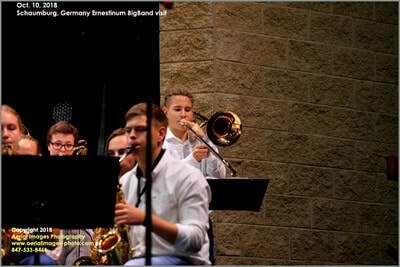 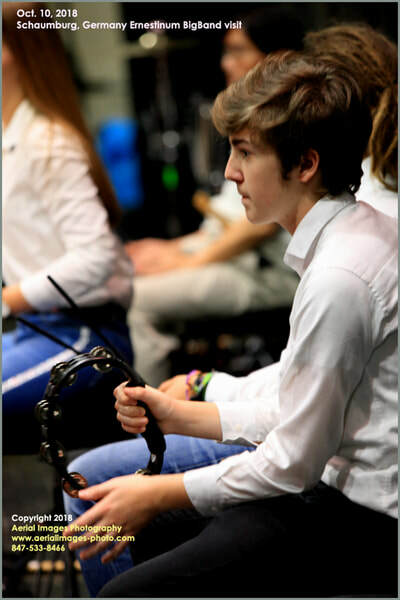 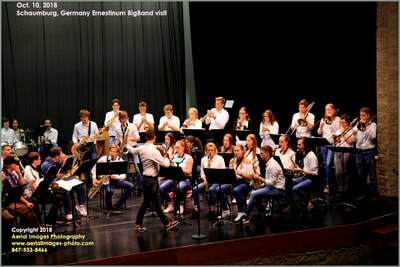 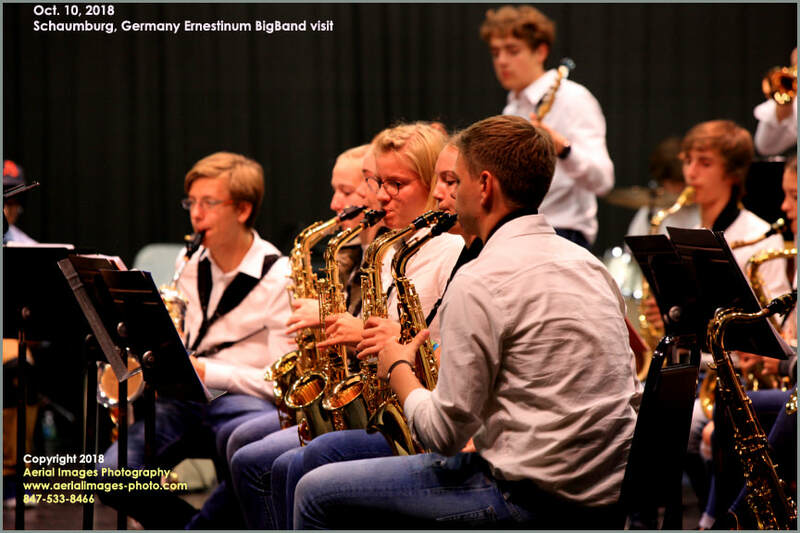 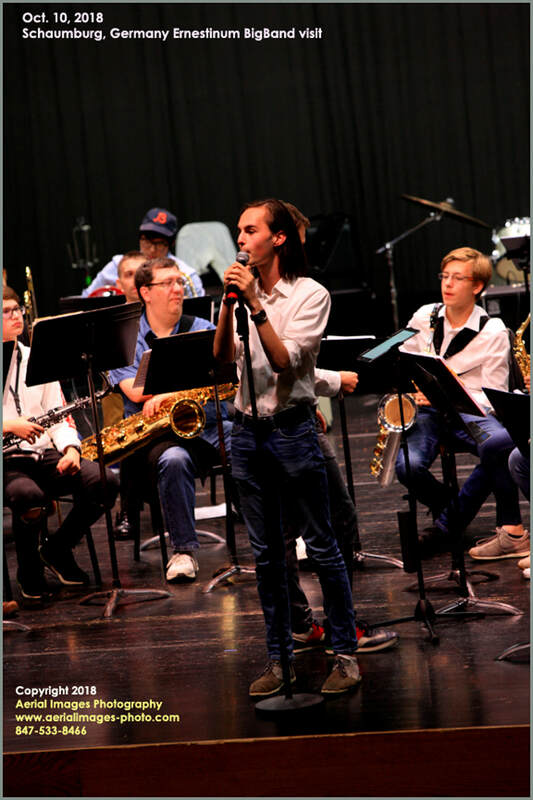 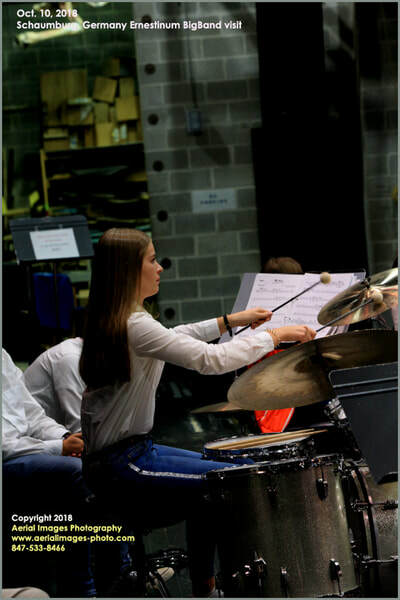 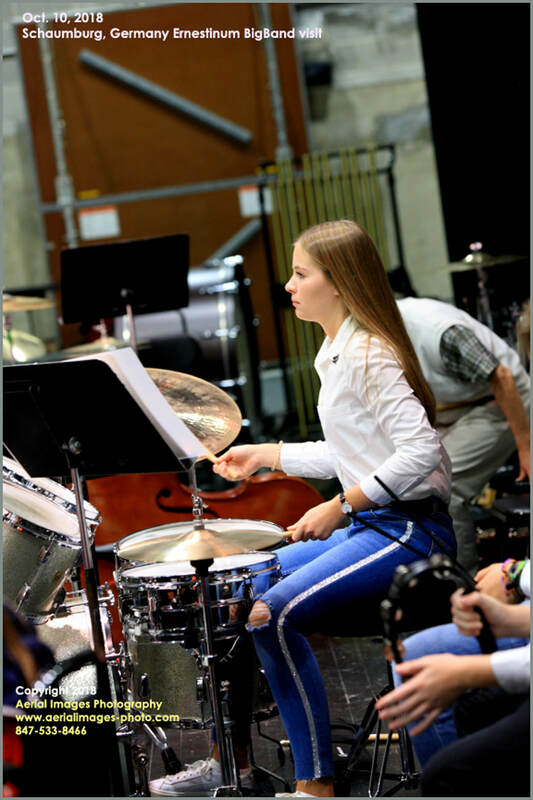 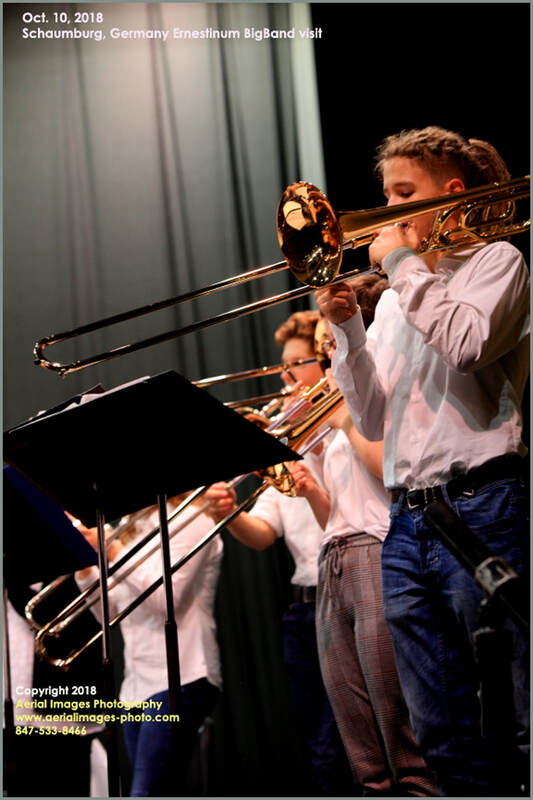 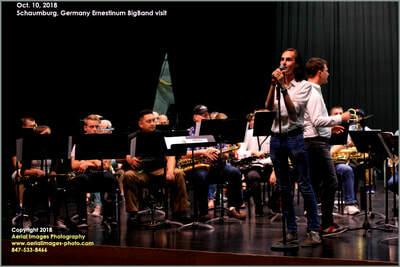 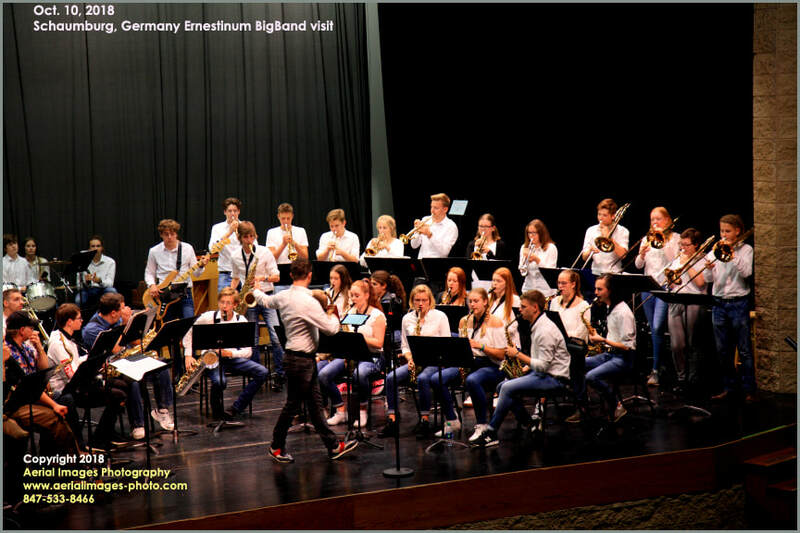 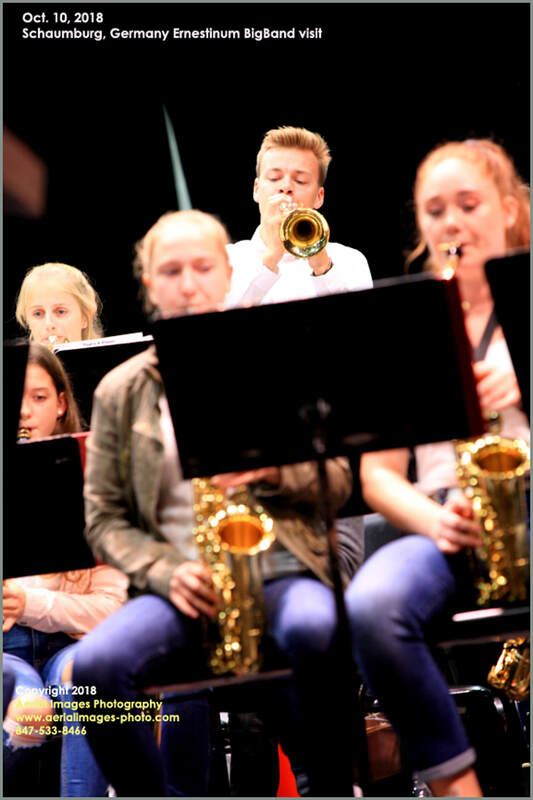 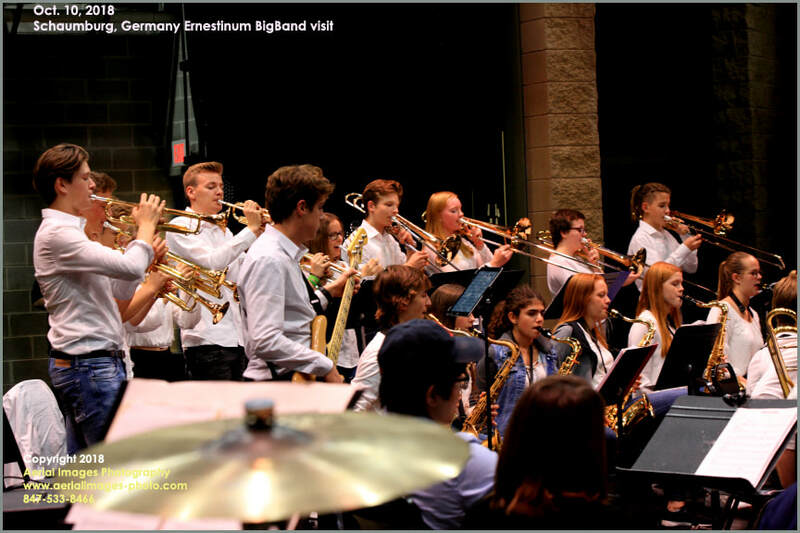 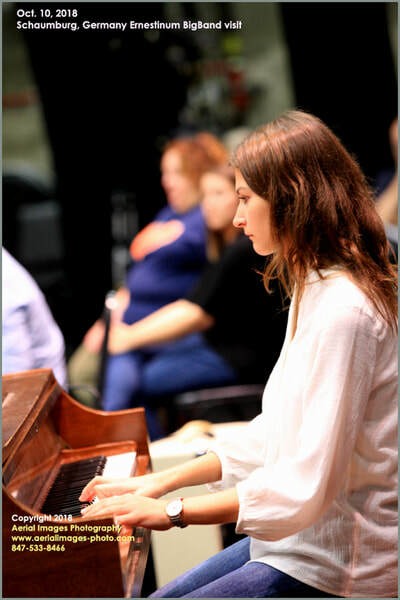 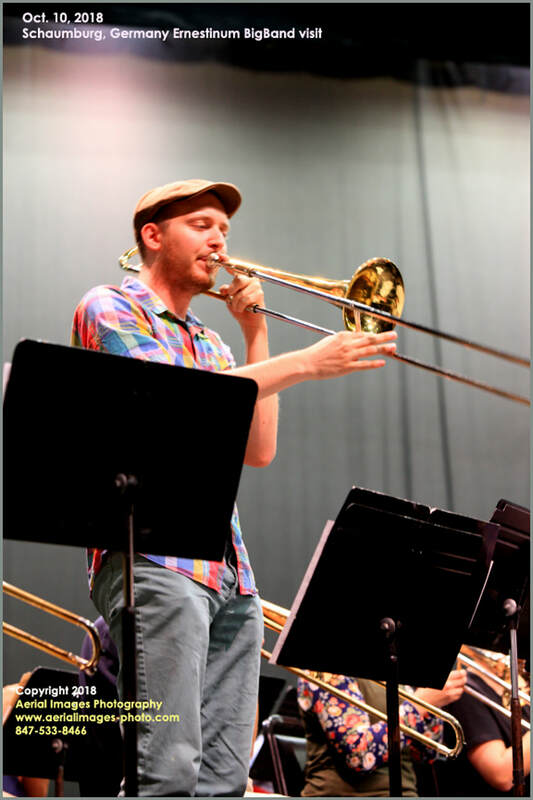 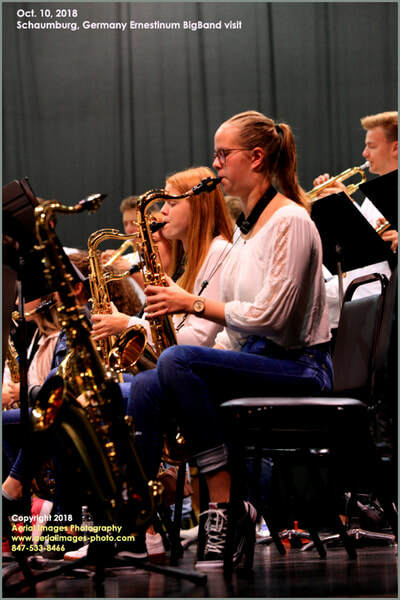 The Ernestrinum BigBand is a 30 member ensemble group of highly talented young musicians playing trombones, saxophones, and trumpets, guitar, piano, percussion and a vocalist. Click on a photo to enlarge, then use your left and right arrows to scroll thru them.